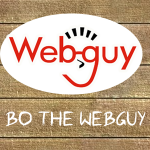 Another Website Project from Bo the Webguy. I had this idea and figured I would push it live to see how it is received. I get a lot of people asking me about websites and projects related to beach music. So I am creating this website to help those people get started in Beach Music and get the Internet Exposure they need to be more successful. I know there are a lot of websites that probably never get any traffic outside of their close circle of fans and members of their band. I am hoping BeachMusic.co can fix that – Take a look around, if you want to get started with a new BeachMusic.co website, let me know – Just a couple of questions and email response – and you will be on your way. I am looking for help in servicing these websites and in return I will give you even more added support. These skills may help you learn to make a little money along the way by selling a few more CDs, getting an extra gig, or selling a few more tickets to your next event.